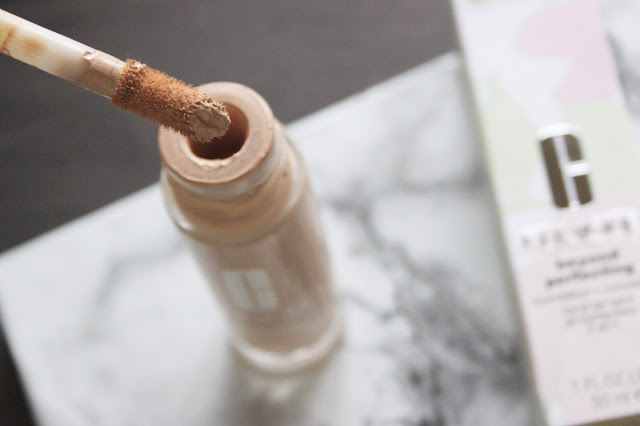 As a complete and utter cheapskate, I struggle with spending a lot of money on beauty products. I am the type of individual that would much rather look around for a long time to make sure I get the best price for something and this can be incredibly infuriating for my very patient other half. However, after years of reading beauty blogs and watching beauty videos, I have officially been converted. 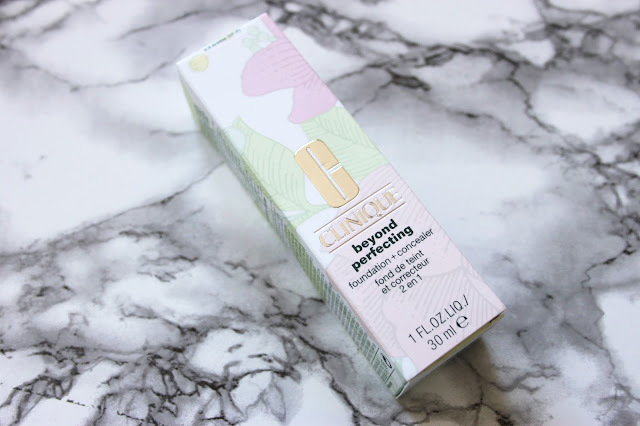 There are a few products that I do think you can still buy a little cheaper - but when it comes to your skin, surely you just can't scrimp and save? 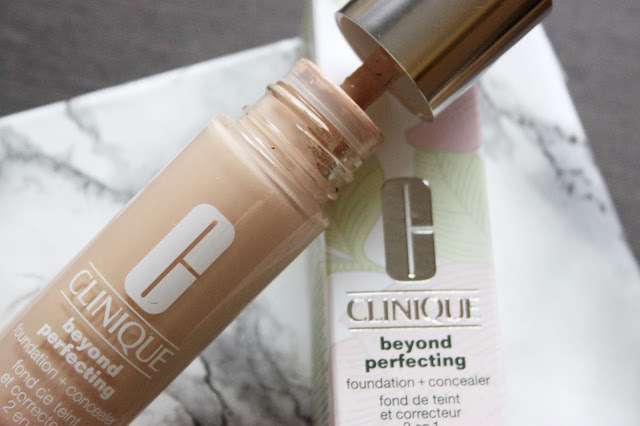 I suffer from quite bad eczema and it has always been difficult to find a foundation that doesn't just dry up in my sensitive patches...until now. 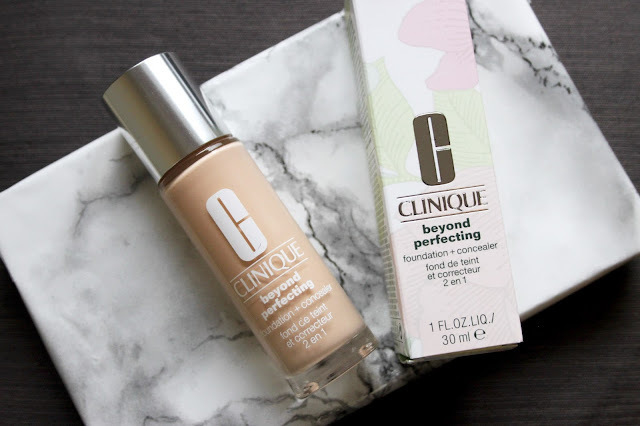 I have always been a sucker for nice advertising, so of course I was completely sold by the Clinique Beyond Perfecting foundation and concealer. 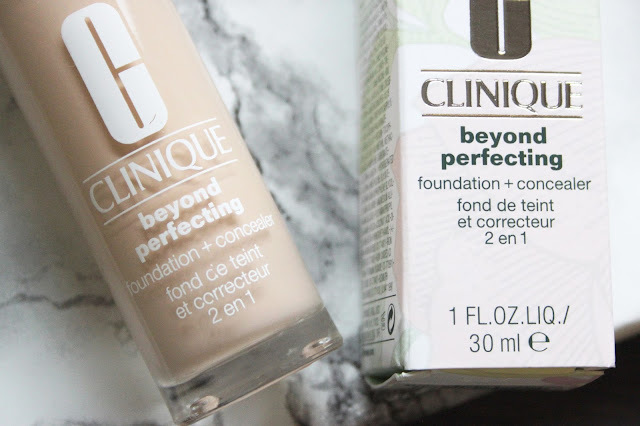 What could be better than a combined foundation and concealer? I thought to myself, how much easier could this make my life? Well the answer is - a lot! It is amazing how a foundation that does two things at once could still be so lightweight. But this product allows my dry skin to breath, whilst also being flawless. 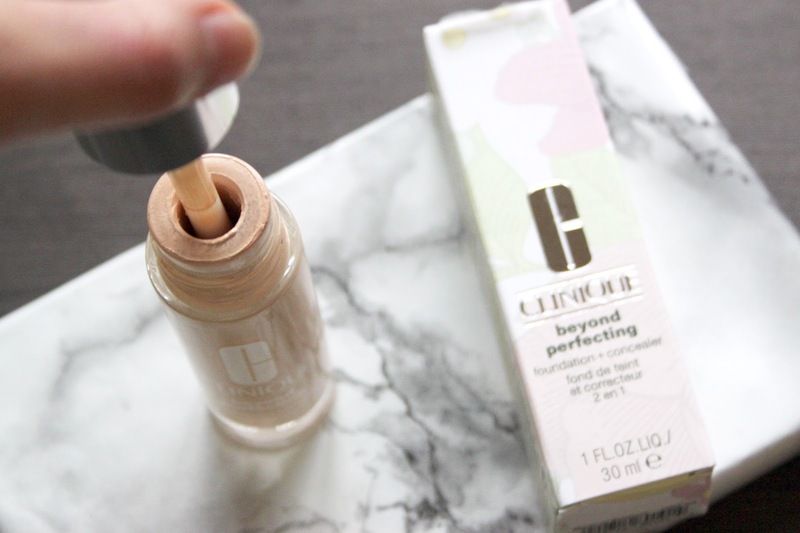 The easy wand applicator has multiple sides that can be used for different areas on your face, and then once blended with a brush or your fingers, the foundation sinks into your skin and adapts to your skin tone! Safe to say...I'm very much sold.